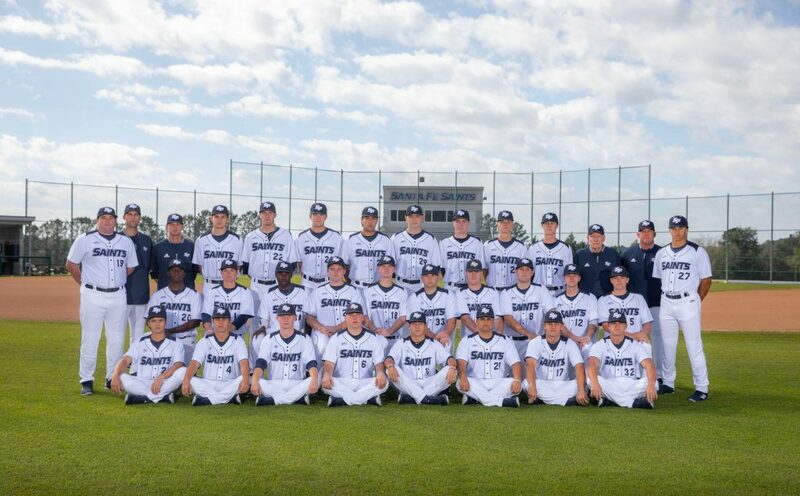 January 22, 2019 – The Santa Fe Saints baseball team will open their season Friday, Jan. 25, with a game at Hillsborough Community College, their first of a 50 game schedule in 2019. The Saints will play in front of the home crowd Saturday, Jan. 26, with a doubleheader against South Georgia State College. All games in January and February will be against nonconference opponents. Mid-Florida Conference play begins Saturday, March 2, when the SF plays at Daytona State College.